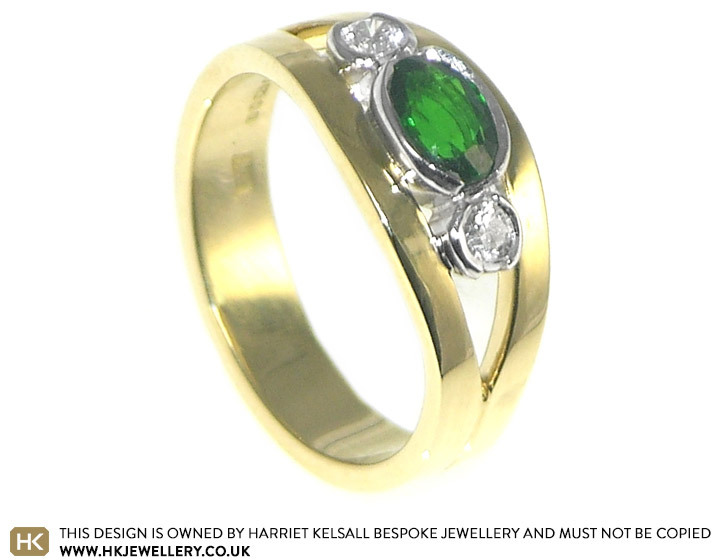 This 18ct yellow gold double banded engagement ring has been designed for a contemporary look in which the two 2.5mm wide bands join together at the back . 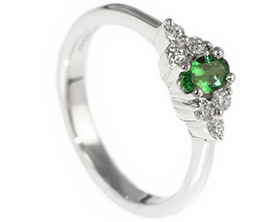 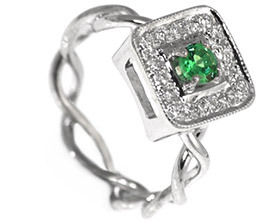 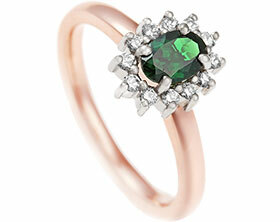 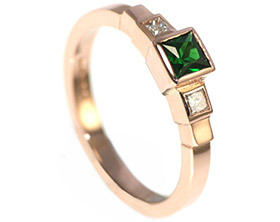 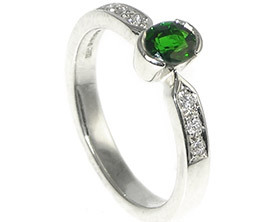 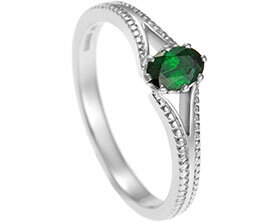 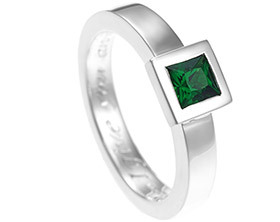 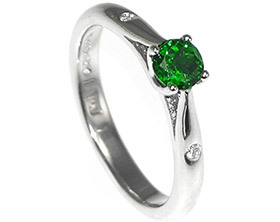 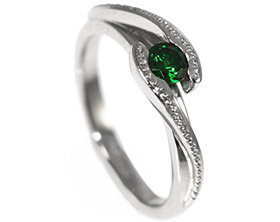 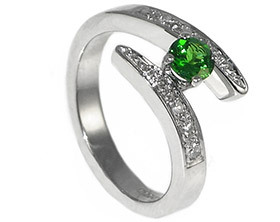 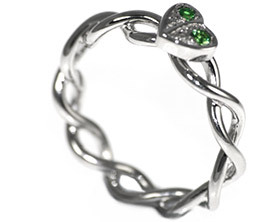 The 6x4mm oval cut tsavorite is a beautiful deep green stone that is set in rhodium plated 18ct white gold with a 2.5mm brilliant cut H Si diamond eitherside. 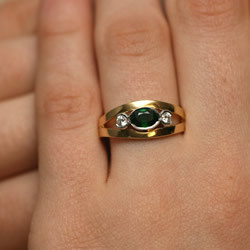 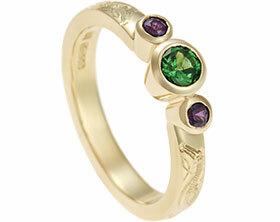 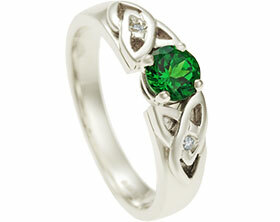 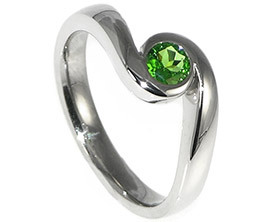 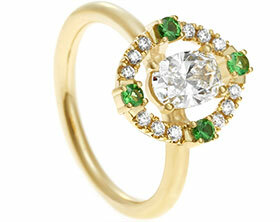 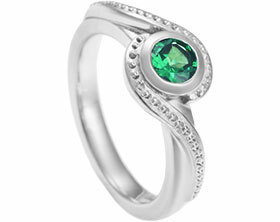 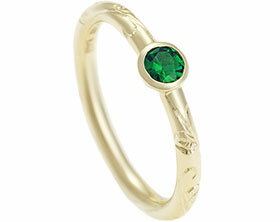 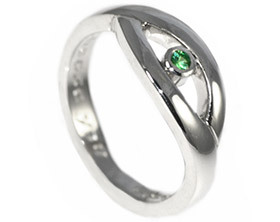 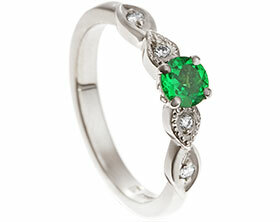 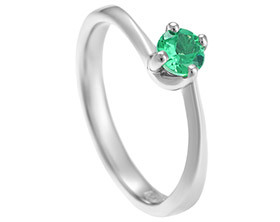 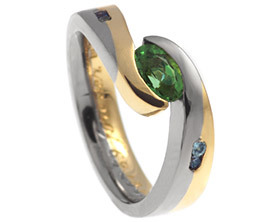 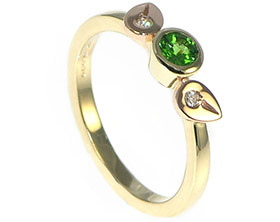 This design is also ideal for a combined engagement and wedding ring with each band representing each ring.